Christmas is over and a New Year just begun!! We have enjoyed lovely Christmas and New Year festivities with family, albeit noisy, messy and chaotic but great fun! 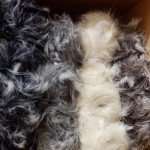 Very strange weather for the time of year, customers have been buying more summer yarns like Opium than Chunky yarns!! This week I have seen Damon from King Cole with lots of snippets of things to come for this Spring. 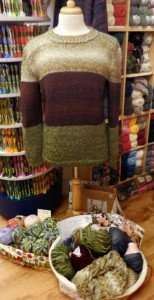 Already I have been able to order their new yarn ‘Vogue’ which is a stripy/mottled double knit cotton yarn (advertised in most of the knitting and crochet magazines). It feels beautifully soft and there are some gorgeous patterns for knitters and crocheters. A new Blanket yarn is also on the way! White and Red Tinsel are back in stock and they have brought out some new colours which will be in stock shortly. I have also been told there will be some Easter patterns for Tinsel coming soon (maybe the odd bunny or two). The super cute centipede pattern is now in stock and mum is busy knitting one to keep us company in the shop! 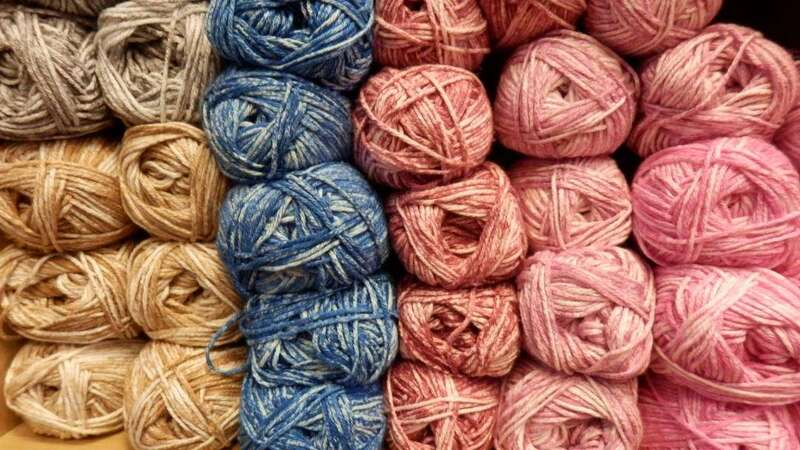 I have also been told there will be new colours in Opium, Opium Palette, Bamboo DK and 4Ply, Drifter and Cherished. Good news, Luxe Fur is now back in stock and I have been busy knitting an Owl (of course). 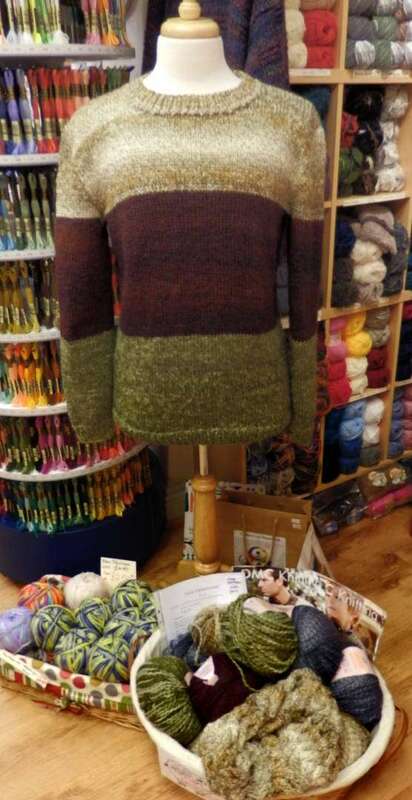 Wendy has brought out a new yarn called ‘Eider’ which really is ‘eider soft’. 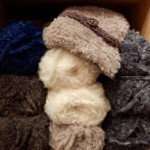 We have knitted up a pair of cosy hand warmers so you can sample their loveliness. I have recently received many new bolts of Moda Fabrics and these are now all chopped, metered, quartered and in the shop with of course some left on the bolts for larger projects. I particularly like the Mon Ami range. 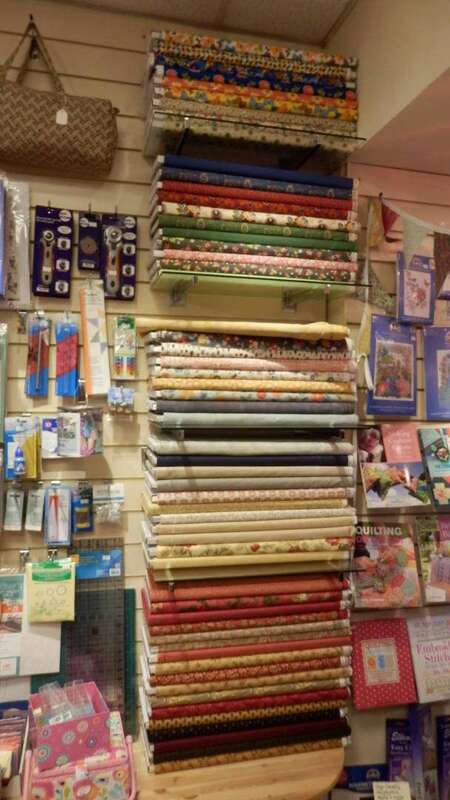 More charm packs and jelly rolls have arrived too. 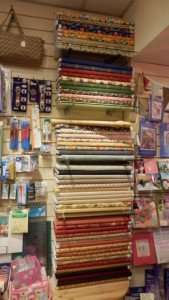 Call in to see the new fabrics more of which seem to be arriving weekly (maybe I went a bit over the top with my ordering!!) June Tailor Quilter’s Fusible Batting arrived just before Christmas. This is a single bed size 72inch by 90inch but I would be happy to cut it if you need a smaller size. Well it is very close now to the next Knitting and Stitching Trade Show which I am really looking forward to. It’s really great to view all the new yarns and fabrics and to see and feel their true colours so to speak. 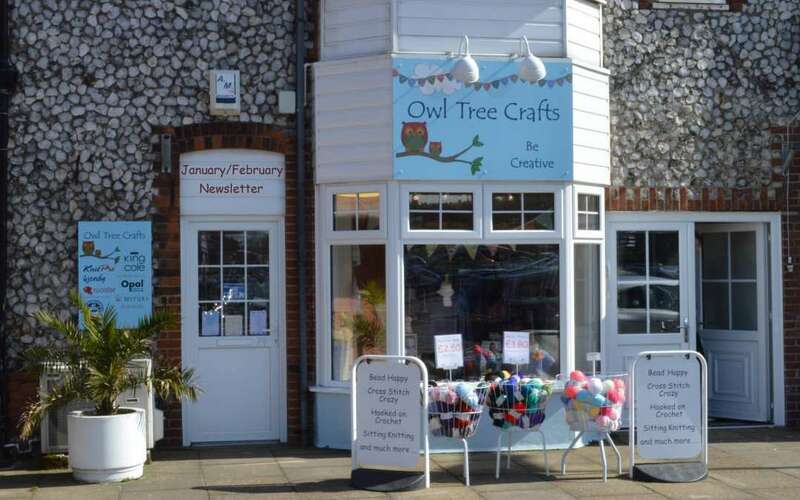 Hopefully I will find one or two exciting new products for ‘Owl Tree Crafts’!! This is a sample of something you could knit with this month’s Special Offer yarn. 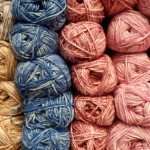 DMC Sharon, which is a chunky yarn and it’s RRP was £7.99 but we have it on sale for just £4.00. It’s a lovely big 100gm very soft and squishy yarn (kept my knees very warm whilst I knitted!) There is also a free pattern for a cabled cowl with the yarn and if you want to knit the jumper you can have that pattern free too!! Gosh hasn’t the weather turned to Winter now. One of our fences has blown over this evening nearly coming through the lounge window and three fence panels have fallen into our lane. I expect fence putter uppers will be very busy over the next day or so!! It was great to see everyone at our various groups this week after the Christmas break, we have been making Granny Squares, beading bracelets and making a start on a crocheted handbag! Okay, signing off now. I will write again when I have been to the Trade Show.